Gordon Parks referred to his camera as his “weapon of choice”. Over a decade since his death at the age of 93, the Kansas-born artist remains a celebrated staple of photojournalism’s golden age, his status as one of America’s most important, pioneering photographers inarguable. From the moment he purchased his first camera aged 25 – a Voigtländer Brillant, for a grand total of $12.50 – Parks recognised the startling, socially transformative power an image was capable of, and set to work accordingly. Throughout his career, the self-taught photographer employed his lens to expose injustice and marginalisation throughout America, chronicling the country’s deep social, racial and economic divisions for government branches such as the Farm Security Administration (FSA) and the Office of War Information. A stint at Vogue followed, before over 20 years as a staff photographer at Life, and subsequent forays into filmmaking, composition poetry, painting and more. Parks was an activist, a humanitarian and a core figure in America’s civil rights movement; he routinely shattering glass ceilings for black artists, while using his platform to expose the stark realities of day-to-day inequality on the most momentous of scales. 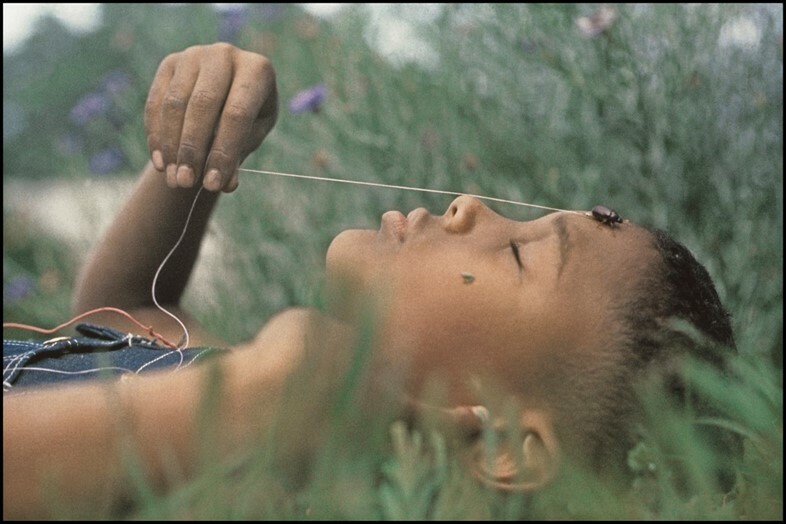 To celebrate the life and work of the famed storyteller, Gordon Parks - I Am You. Selected Works 1942-1978 will run at Foam from 16 June – 6 September 2017. In conjunction with the exhibition’s opening, here are just a few of the reasons why Gordon Parks is as important as ever. During his career, Parks made a regular habit of smashing through the barriers placed in front of him. Despite operating at the height of racist attitudes in the 40s, he worked regularly as a fashion photographer for Vogue under the editorship of Alexander Liberman, during which he published two books (Flash Photography in 1947 and Camera Portraits: Techniques and Principles of Documentary Portraiture a year later in 1948). A photo essay published that same year on a young, Harlem gang leader earned him a staff job at Life ­– the first time an African-American had ever held such a role – which he retained for the following two decades. In 1964, he wrote The Learning Tree, a semi-autobiographical novel that he adapted for the big screen five years later in 1969. In doing so, he became Hollywood’s first ever major black director. Following the success of the The Learning Tree, Parks’s next crack at the big screen came in the form of detective flick Shaft. Not only was the 1971 film – which introduced the cinema-goers to John Shaft, the ‘world’s first black action hero’ – a critical and commercial hit, but it spawned and inspired a series of subsequent movies that would come to be known as Blaxploitation. While cinema had previously exploited black males with damaging stereotypes such as violence and drug use, Shaft – and the films that followed – operated in tandem with the empowered self-expression of the black power movement as a no-holds-barred celebration of the black body. In the film’s 2000 sequel (starring a certain Samuel L. Jackson as the eponymous hero’s nephew and namesake), you can catch Parks in a brief cameo, with Jackson’s character greeting him as ‘Mr P’. 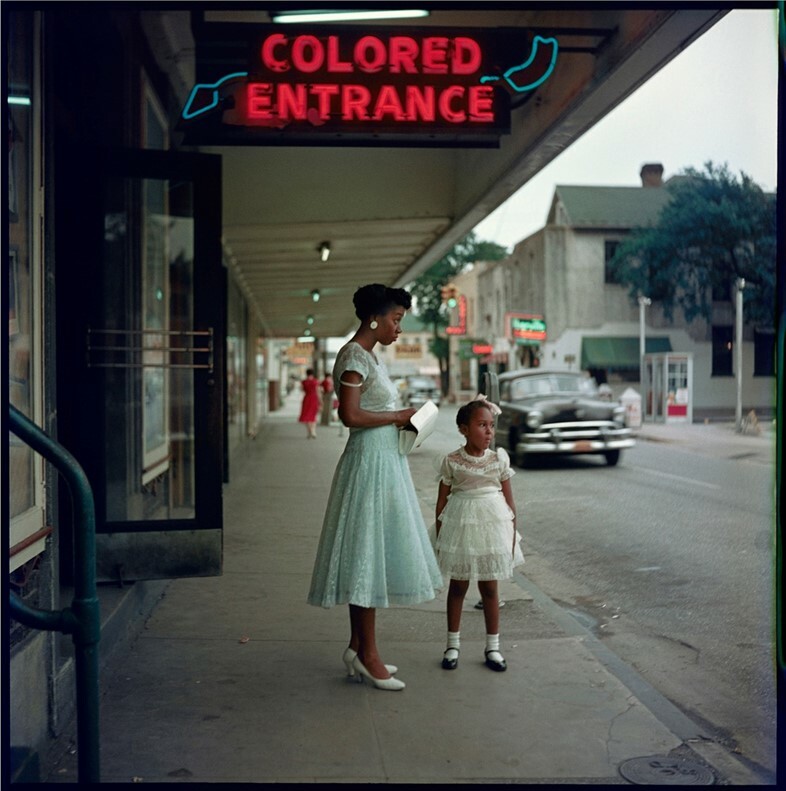 As well as his photography and filmmaking, Gordon Parks was a multifaceted, cross-discipline creative. Alongside the aforementioned novel The Learning Tree, he authored a total of 15 books, including guides on the craft of photography, poetry collections, Shannon ­– a novel about the tribulations of a group of Irish immigrants – and three separate volumes of memoirs. On top of that, he was also a talented oil painter, piano player and composer; in, 1989, he helmed and directed Martin, a ballet dedicated to his friend Martin Luther King. Alongside directorial credits for The Learning Tree and the original Shaft, he also helmed Shaft’s Big Score (1972), The Supercops (1974) and Leadbelly (1976), a Huddie Ledbetter biopic. Although primarily celebrated for his stark, monochromatic photojournalism, Parks’s canon included a range of different colour works – as well as a number of famous, historically significant portraits. Due to his role within the civil rights community, he was able to provide stark, intimate stills of figures such as Malcom X and Stokey Carmichael, while Martin Luther King – a regular subject of his famous black and white photographs – considered him a close friend and confidant. However, perhaps the most well-known of the Kansas photographer’s portraits are those of Muhammad Ali. Having met the boxing icon almost immediately afterwards his infamous draft evasion, Parks – as the only black man on Life’s staff – was given near-total access to Ali at a time when the famous enigma was, to the public eye, even more distant than ever. The resulting images are a brief yet mystical dive into the boxer’s maundering psyche – and remain some of the most intimate images ever taken of him. Gordon Parks didn’t view himself as an activist first, photographer second, or vice-versa. Rather, the two were entangled; his camera was an enabler for social change and he – as a young, black man in racially divided America with the power of publications behind him – recognised the unique opportunity that he had provided for himself. Whether it was American Gothic – a haunting image of Ella Watson, a black cleaner, stood motionless in front of the US flag – or The Restraints: Open and Hidden – a 1956 photo essay of racial segregation in rural Alabam – Parks was able to enter the places his white contemporaries didn’t even know to look. His lens was unflinching, his message clear: if his camera were to be his chosen weapon, then he would be using it effectively. 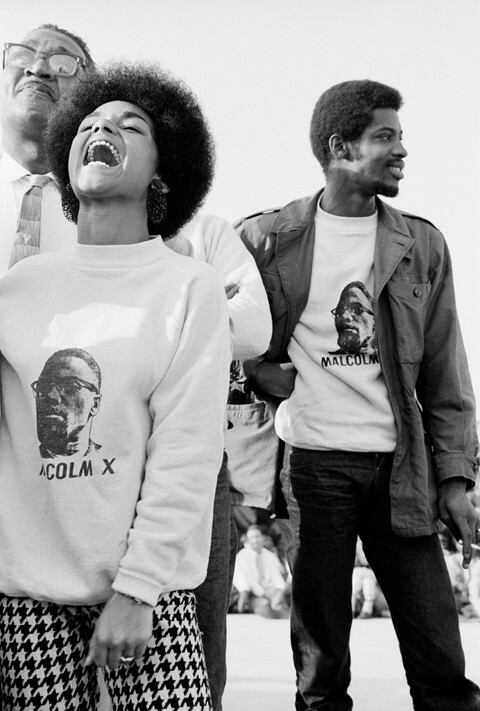 His haunting, unequivocal stills told stories that began those conversations about radical societal change. Gordon Park’s camera was his weapon of choice – and there wasn’t a better shot in all of America.